Photo: Libya; from “liberation” by NATO to “terror wonderland” to refugee crisis. As the gravest refugee crisis since WWII continues unabated, everyday new reports give us privileged enough not to be personally effected mere glimpses at the outright horror that is being visited upon our brothers and sisters across the world on a daily basis. Reading the Western media, heavy emphasis is put upon the criminal enterprises that are boating these refugees across the seas, editorializing the situation to justify a heavy-handed response in order to ‘prosecute the criminals.’ However, despite the moral bankruptcy of seeking to profit from such a crisis, these enterprises would have no demand had not so much death and destruction been inflicted upon refugee homelands. Moreover one could glean that refugees are less upset over the fees of those providing them an opportunity to escape than they are with Western governments who refuse them, and whom also foment instability in their countries. Other Western publications do in fact have the gall to actually criticize their own leaders’ guilt in the matter. The reasons? The West has failed because it has simply not done enough, sat lazily on the sidelines, and thus further intervention is needed. Once again the only criticisms allowed in the ‘liberal’ western press are ones which presuppose benevolent intentions. The sad truth however is that the alarming refugee situation was a predictable outcome of the West’s crazed militant adventurism, and the calls for the West to ‘do more’ are in actuality calls to exacerbate the crisis by increasing that which caused it, thinly veiling themselves as dissident criticisms. Almost invariably, the major regions afflicted by this crisis are also areas of either direct or indirect US military aggression and intervention. The invasion of Afghanistan was initially justified through the declared motive of compelling the Taliban to hand over people the US accused of having been involved in the 9/11 attacks. The Taliban agreed, requesting that first evidence be provided. The Bush administration refused to provide any. The reason? They didn’t have any. The Taliban eventually agreed to hand over bin Laden for trail in a country other than the US without asking for evidence in return for a halt in the US bombing. The White House refused this offer as well, and 3 weeks into the war announced that the bombing would continue until the people of Afghanistan overthrew the Taliban, a textbook example of international terrorism according to the US’ own definition, and this would later became the official justification for the war. The Afghan invasion thus had nothing to do with finding and bringing the criminals to justice, which could have been accomplished through careful investigative and police work, but instead, as was eventually admitted officially, was about regime change and thus control over Afghanistan, wrecking the country through war and destruction while sending countless fleeing for their lives. As well, if the US’ declared ‘mission’ of going after any state that harbored terrorists were actually implemented, it follows that both Saudi Arabia and Pakistan would have been invaded as well. The true intentions behind the Iraq invasion, as all official pretexts collapse instantly upon examination, were evidenced in a “Declaration of Principles” document signed by Bush and then Prime Minister Maliki in 2007. The agreement allowed for a long-term US military presence in the country, if the enormous Green Zone “embassy” wasn’t enough of an indication for the permanence of the US presence, while as well explicitly stating that Iraq’s economy (meaning its oil resources) would be open to the preferential access of US capital. One would be hard-pressed to find a more blatant pronouncement of economic imperialism. The jihadism now plaguing Iraq was a direct result of this decision to use the military to hit the country with a sledgehammer. All of this changed in 2011. Gaddafi expressed willingness to abdicate shortly after the beginning of the 2011 revolt, but the US ignored his calls for a truce and continued with their regime-change policy, according to an extensive study compiled by the Citizens Commission on Benghazi, a self-selected group of former top level military officers, CIA officers, and academic think-tankers. Following Gaddafi’s fall Libya transcended into what Senator Rand Paul calls “a jihadist wonderland.” The Obama administration also then, with the support of British intelligence and in collusion with allies Turkey, Saudi Arabia, and Qatar, created a ‘rat line’ into Syria. Obama then continued along the Libyan model by once again supporting al-Qaeda, this time to overthrow the Syrian president. Training camps were also set up in Qatar and Jordan. 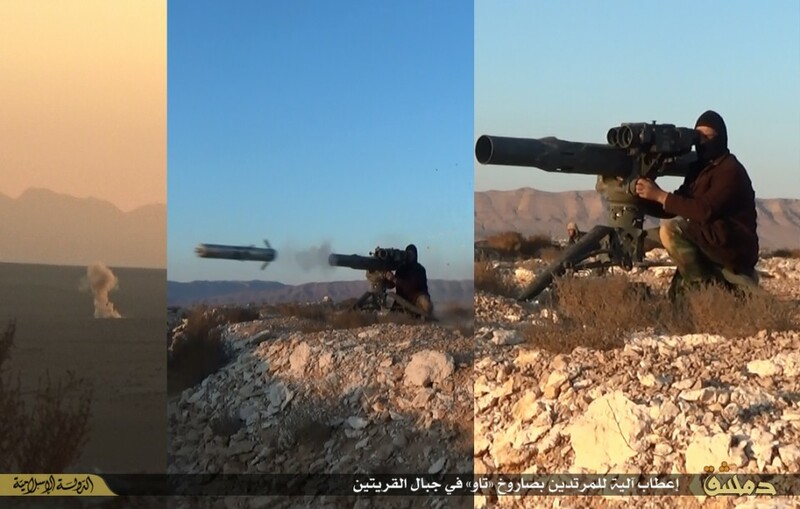 According to high-level Jordanian officials, rebels trained at the base in Jordan would later go on to join ISIS. (19) Despite this, the training continued. Like Libya, where US intervention created chaos and proliferated extremism, Syria is now a magnet for aspiring terrorists, a land overrun by violent extremists and foreign-manufactured war and therefore contributes the most significant number of refugees out of any country to a global displacement crisis the likes of which has never been seen since the Second World War. Yet it doesn’t end with Syria. As NATO and its ally’s attack the Syrian state by proxy, Russia has drawn a red-line and bolstered its Middle Eastern ally, effectively preventing a repeat of what occurred in Libya. Partly the culmination of inertia from decades of regime-change efforts and EU/NATO expansion, and partly utilized as a way to punish Russia for defying the US policy in Syria, the violent seizure of power in Ukraine was the result of an externalization by foreign powers of internal Ukrainian political divisions. The West’s decision to use the EU Association Agreement as a means to leverage Ukraine out of Russia’s and into its own orbit of influence, giving Yanukovych an ultimatum while ruling out calls by him and Russia for a negotiated settlement(28), saw the West ally itself with one half of the country against the other along a zero-sum, us-or-them mentality, exacerbating the internal tensions and eventually culminating in a violent seizure of power. The convoy was forced to retreat, yet days after at again the behest of the US, the war machine was once again launched(35), this time succeeding in devastating and massacring the civilian populations in the east. It was because of this fateful decision of choosing to externalize all the blame on Russia for Ukraine’s internal political divisions while also launching a military operation to suppress the dissent against Kiev’s own violent seizure of power that so many families are being forced to flee from their homes. Much more can be said about all of this, and about many more interventions the US has embarked upon, yet the incontrovertible takeaway is the massive humanitarian toll and suffering that has been the result of all of this adventurism. Many though are lining up to blame the West’s enemies for the humanitarian scourge of displacement that is occurring, however the common denominator in all these areas are not the presence of US enemies but of US aggression and meddling. The same leaders and supporters of Western aggression who are attempting to use this crisis as a means to further their ignorant and militant narratives are most to blame for creating it with their prior displays of imperial aggression along the same narratives. Any who profess concern over this inhumanity without calling for an end to the destructive interventions which are its causes are therefore only adding to the horrors they claim to seek to stop. The imperial, exceptionalist mindset of the West which claims ownership for itself over the entirety of the world no matter how much death and destruction it causes is the true humanitarian catastrophe we now face in our times, of which this refugee crisis is unfortunately just one, inevitable symptom. “Hundreds of thousands of refugees are continuing to flee from countries of conflict, in the Middle East and Africa. The sad point is that many of those refugees are Syrians. Syria, the country which used to welcome refugees from the war zone countries, such as Palestine, Armenia, Somalia, Iraq and Libya. Syria, the country which was one of the safer countries in the world just years ago before this global plot and global proxy war on Syria. Syrians cross in illegal ways from Syria to Turkey, then to Greece, Macedonia and Europe. Most of them drown in the sea because of no safer automotive is affordable to transfer them, though they pay huge amounts of money to warmonger merchants who manage to provide the transfer facilities to them. Those merchants most of them based in Turkey, also most of those refugees are fleeing from their camps in Turkey to Europe, the question is why do they leave Turkey now? On the other side the west handles this crisis in a bad way, forces on the border, more borders controlled, more fences. So there is no real solution, the west is really far from a solution. At the same time the west blames Syria all the time for Palestinian refugees, accuses Syria of besiege them, which is not true at all, Palestinians in Syria have same Syrians rights, however they are also under terrorists attack as well as Syrians. While Germany eases the rules of migration for those refugees and welcomes migrants, sets up camps, and calls for a conference to find a solution to deal better with those refugees. Camps like these in Turkey and Jordan are not a solution, maybe Saudi and Qatar the two countries who funded the war against Syrians will send money to Europe as a help for those refugees expenses!, however these Arab gulfs countries didn’t welcome them, and didn’t help them in Jordan camps. Did Mrs. Merkel think of lifting sanctions on Syrian people, or to stop supporting the so-called moderate rebels? Or the west see it is better to use this crisis against the Syrians’ homeland, to help Syrians to live in peace, as they used to do before the west intervention in Syria, is a better solution if the west was really interested in helping them. Destroying Syrians’ homeland and giving them the name: refugee, is another catastrophe for Arabs, it is enough to have one catastrophe, the Palestinian one. Actually the reason behind this crisis which is considered the biggest refugee crisis in Europe since World War Two, is the western policy towards the Middle East, the interventions in these countries, bombing countries like Libya by NATO, nurturing the radical terrorist opposition organizations like in Syria under the name of freedom seekers, creating the chaos as in Iraq. Also destroying the economy in these countries as in Syria, when Europe and USA imposed sanction on Syrians, which increased the poverty, simultaneously when bombing the infrastructures of Syria by the so-called moderate rebels, who are backed by the west. Some wrote the refugee crisis is promoted by civil war! while it is promoted by the west’s intervention in these countries, it is a global crisis and a global responsibility. There is some agenda of evacuating the original people of countries like Syria, by committed massacres against them by the terrorist organizations, and to escalate the war in their countries, so they leave their countries which turned into war zone countries, and they seek human asylum. For more from Afraa, follow her @syrianasoldier on Twitter, “Afraa Dagher” on Facebook, and her blog at https://syrianaafrona.wordpress.com/. Rick Lyman, “Treatment of Migrants Evokes Memories of Europe’s Darkest Hour.” The New York Times, 4 September 2015. http://www.nytimes.com/2015/09/05/world/treatment-of-migrants-evokes-memories-of-europes-darkest-hour.html?partner=rss&emc=rss; Only 0.25 million of Syria’s total 20 million refugees (less than 2% of the total) have made it to Europe. Syrian refugees are not allowed to apply for asylum in embassies of EU countries in Turkey, Lebanon, and Jordan where they mostly are accumulated, so they must travel illegally to EU countries in order to exercise their right of applying for asylum. The discussed EU quota plan to allow application before entering the EU only includes 20,000, or 0.2% of the Syrian refugees. So the EU essentially does everything it can to stop more than 99% of the Syrian refugees from applying for the asylum they are legally entitled to. “Where Are the Syrian Refugees?” Gapminder Foundation, 9 June 2015. https://www.youtube.com/watch?v=0_QrIapiNOw; However, Germany’s “open door” policy is helping as 8,000 refugees recently entered the country. Yet still, in 2014 only around 45% of asylum applications made to European governments were accepted, at least half were turned away. Katrin Bennhold, et al., “Germans Welcome Migrants After Long Journey Through Hungary and Austria.” The New York Times, 5 September 2015. http://www.nytimes.com/2015/09/06/world/europe/migrant-crisis-austria-hungary-germany.html?partner=rss&emc=rss. “Refugees/Migrants Emergency Response – Mediterranean.” United Nations High Commissioner for Refugees (UNHCR) The UN Refugee Agency. http://data.unhcr.org/mediterranean/regional.html. Accessed on 9/5/15. Patrick Boehler & Sergio Peçanha, “The Global Refugee Crisis, Region by Region.” The New York Times, 26 August 2015. http://www.nytimes.com/interactive/2015/06/09/world/migrants-global-refugee-crisis-mediterranean-ukraine-syria-rohingya-malaysia-iraq.html. Ed Haas, “FBI says, ‘No hard evidence connecting Bin Laden to 9/11.’” Muckraker Report, 6 June 2006. https://web.archive.org/web/20070507051205/http://www.teamliberty.net/id267.html. Rory McCarthy, “New offer on Bin Laden.” The Guardian, 17 October 2001. http://www.theguardian.com/world/2001/oct/17/afghanistan.terrorism11; “Noam Chomsky: US-led Afghan War, Criminal.” Press TV, 3 November 2010. http://www.informationclearinghouse.info/article26756.htm. Nafeez Ahmed, “The bin Laden death mythology.” Medium, 3 July 2015. https://medium.com/insurge-intelligence/the-bin-laden-death-mythology-9a3776a6e3c3. “The first moves from Washington made it clear that the anti-terror war would be waged without any confrontation with Saudi Arabia or Pakistan, two close US allies, despite the fact that without the involvement of these two countries 9/11 was unlikely to have happened.” “The ‘war on terror’ has failed because it did not target the jihadi movement as a whole and, above all, was not aimed at Saudi Arabia and Pakistan, the two countries that fostered jihadism as a creed and a movement.” Patrick Cockburn, The Rise of Islamic State: ISIS and the New Sunni Revolution (New York and London: Verso, 2015), pp. 4, 58. The ‘Declaration of Principles’ document stipulated extensive US military influence (i.e. control) over Iraq’s security policy, never mentioning a US military withdrawal. In terms of the ‘economic sphere’ the two parties agreed upon the principle of “Facilitating and encouraging the flow of foreign investments to Iraq, especially American investments…” Text of the “Declaration of Principles” between Iraq and the United States, issued by the White House on Nov. 26, 2007. http://www.dickatlee.com/etwf/bush_maliki.html; Bill Van Auken, “Bush rejects congressional ban on permanent bases in Iraq.” World Socialist Web Site, 1 February 2008. https://www.wsws.org/en/articles/2008/02/iraq-f01.html; Noam Chomsky, “It’s the Oil, Stupid!” info, 23 May 2015. http://www.chomsky.info/articles/20080708.htm. 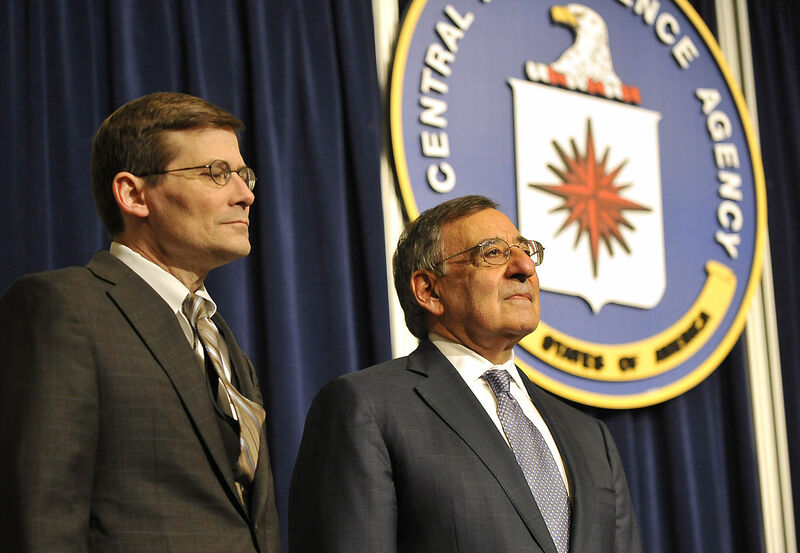 Ezgi Basaran, “Former CIA officer says US policies helped create IS.” Al-Monitor, 2 September 2014. http://www.al-monitor.com/pulse/politics/2014/09/turkey-usa-iraq-syria-isis-fuller.html#. A 2008 US Army-commissioned RAND report outlines a ‘Divide and Rule’ strategy for US engagement in the region, noting that the strategy “focuses on exploiting fault lines between various SJ (Salafi-jihadi) groups to turn them against each other…” The report calls for the US to “capitalize on the Shia-Sunni conflict by taking the side of the conservative Sunni regimes… and working with them against all Shiite empowerment movements in the Muslim world” while as well maintaining “a strong strategic relationship with the Iraqi Shiite government.” The report confirms that the ‘Divide and Rule’ strategy was already being deployed in Iraq “to create divisions in the jihadist camp. Today in Iraq such a strategy is being used at the tactical level,” by forming “temporary alliances” with al-Qaeda affiliated “nationalist insurgent groups.” Although they have directly fought against the US for four years and “cooperated with al-Qaeda against US forces,” these groups are now being supported to exploit “the common threat that al-Qaeda now poses to both parties.” Christopher G. Pernin et al., “Unfolding the Future of the Long War.” RAND Corporation, 2008. https://www.rand.org/content/dam/rand/pubs/monographs/2008/RAND_MG738.pdf; Nafeez Ahmed, “Pentagon report predicted West’s support for Islamist rebels would create ISIS.” Insurge Intelligence, 22 May 2015. https://medium.com/insurge-intelligence/secret-pentagon-report-reveals-west-saw-isis-as-strategic-asset-b99ad7a29092; Early on during the invasion the US covertly supplied arms to al-Qaeda affiliated insurgents while propping up a Shia-dominated government. Pakistani defense sources confirmed to Asia Times that ‘former Ba’ath party’ loyalists were being supplied Pakistani-manufactured weapons by the US. These ‘former Ba’ath party’ loyalists were being recruited and trained by al-Qaeda in Iraq under the leadership of Abu Musab Zarqawi. The arms “could not be destined for the Iraqi security forces because US arms would be given to them”, a source told Asia Times’ Pakistan bureau chief Syed Saleem Shahzad, who was “known for his exposes of the Pakistani military” according to the New Yorker, and was murdered in 2011. Syed Saleem Shahzad, “US fights back against ‘rule by clerics.’” Asia Times, 15 February, 2005. http://www.atimes.com/atimes/Middle_East/GB15Ak02.html; Nafeez Ahmed, “Caught red-handed.” The Raw Story, 23 September, 2005. http://rawstory.com/news/2005/CAUGHT_RED__0923.html; Nafeez Ahmed, “How the west created the Islamic State.” Insurge Intelligence, 11 September 2014. https://medium.com/insurge-intelligence/how-the-west-created-the-islamic-state-dbfa6f83bc1f; According to a report for the US Joint Special Operations University (JSOU) and Strategic Studies Department titled “Dividing Our Enemies”, post-invasion Iraq strategy relied upon pursuing public legitimacy through social welfare programs while simultaneously delegitimizing local enemies by escalating intra-insurgent violence, even though this would harm civilians. The report notes that Iraq post-invasion was “an interesting case study of fanning discontent among enemies, leading to ‘red-against-red’ [enemy-against-enemy] firefights,” this strategy however “involves no effort to win over those caught in the crossfire of insurgent and counterinsurgent warfare, whether by bullet or broadcast. On the contrary, this underside of the counterinsurgency coin is calculated to exploit or create divisions among adversaries for the purpose of fomenting enemy-on-enemy deadly encounters.” The ‘enemies’ included jihadis, Ba’athists, as well as peaceful Sufis. “Evidence of factional fighting between the residents came to light with nightly gun battles not involving coalition forces. These firefights between insurgent factions represented the impact of U.S. psychological operations (PSYOP), which took advantage of and deepened the intra-insurgent forces. The PSYOP contingent cleverly crafted programs to exploit Zarqawi’s murderous activities and to broadcast them countrywide, thereby diminishing his folk-hero image among Iraqis. Although the jihadis and Baathists shared hostility to the U.S. military forces surrounding Fallujah, their mutual antipathy to each other presented an opportunity to turn them against each other.” Thomas H. Henriksen, “Dividing Our Enemies.” Joint Special Operations University (JSOU), November 2005. http://www.globalsecurity.org/military/library/report/2005/0511_jsou-report-05-5.pdf; Nafeez Ahmed, “How the west created the Islamic State.” Insurge Intelligence, 11 September 2014. https://medium.com/insurge-intelligence/how-the-west-created-the-islamic-state-dbfa6f83bc1f; US employs the “Salvadorian Option” for Iraq utilizing Shi’ite paramilitaries to lethally quell Sunni uprisings. Michael Hirsh and John Barry, “The Salvador Option.” Newsweek, 9 January 2005. https://web.archive.org/web/20050110030928/http://www.msnbc.msn.com/id/6802629/site/newsweek/; Mona Mahmood et al., “Revealed: Pentagon’s link to Iraqi torture centres.” The Guardian, 6 March 2013. http://www.theguardian.com/world/2013/mar/06/pentagon-iraqi-torture-centres-link; Mona Mahmood, et al., “From El Salvador to Iraq: Washington’s man behind brutal police squads.” The Guardian, 6 March 2013. http://www.theguardian.com/world/2013/mar/06/el-salvador-iraq-police-squads-washington; According to the UK based monitoring group Action on Armed Violence (AOAV) Iraq topped the worlds ‘most dangerous’ places list in June of 2015. “Iraq tops ‘most dangerous’ place in world list.” RT, 22 June 2015. http://www.rt.com/uk/268810-top-ten-dangerous-countries/. Hein de Haas, “Trans-Saharan Migration to North Africa and the EU: Historical Roots and Current Trends.” Migration Policy Institute, 1 November 2006. http://www.migrationpolicy.org/article/trans-saharan-migration-north-africa-and-eu-historical-roots-and-current-trends; Dan Murphy, “How the fall of Qaddafi gave rise to Europe’s migrant crisis.” Christian Science Monitor, 21 April 2015. http://www.csmonitor.com/World/Security-Watch/Backchannels/2015/0421/How-the-fall-of-Qaddafi-gave-rise-to-Europe-s-migrant-crisis-video. “How America Switched Sides in the War on Terror: An Interim Report by the Citizens’ Commission on Benghazi.” Citizens’ Commission on Benghazi, 22 April 2014. http://www.aim.org/benghazi/wp-content/uploads/2014/04/CCB-Interim-Report-4-22-2014.pdf; “Abdel-Hakim al-Hasidi, the Libyan rebel leader, has said jihadists who fought against allied troops in Iraq are on the front lines of the battle against Muammar Gaddafi’s regime.” Praveen Swami, et al., “Libyan rebel commander admits his fighters have al-Qaeda links.” The Telegraph, 25 March 2011. http://www.telegraph.co.uk/news/worldnews/africaandindianocean/libya/8407047/Libyan-rebel-commander-admits-his-fighters-have-al-Qaeda-links.html. “Al-Qa’ida’s Foreign Fighters in Iraq: A First Look at the Sinjar Records.” Combating Terrorism center at West Point, 2007. http://www.scribd.com/doc/111001074/West-Point-CTC-s-Al-Qa-ida-s-Foreign-Fighters-in-Iraq; Rob Crilly, “Libya: Benghazi about to fall… then came the planes.” The Telegraph, 20 March 2011. http://www.telegraph.co.uk/news/worldnews/africaandindianocean/libya/8393843/Libya-Benghazi-about-to-fall…-then-came-the-planes.html; Sam Greenhill, “Flying proudly over the birthplace of Libya’s revolution, the flag of Al Qaeda.” The Daily Mail, 2 November 2011. http://www.dailymail.co.uk/news/article-2055630/Flying-proudly-birthplace-Libyas-revolution-flag-Al-Qaeda.html. Seymour Hersh, “The Red Line and the Rat Line.” London Review of Books, 17 April 2014. http://www.lrb.co.uk/v36/n08/seymour-m-hersh/the-red-line-and-the-rat-line; A declassified Defense Intelligence Agency (DIA) document dated October of 2012 confirms the existence, as well as the Obama administration awareness of, the ‘rat line,’ “Weapons from the former Libya military stockpiles were shipped from the port of Benghazi, Libya to the Port of Banias and the Port of Borj Islam, Syria. 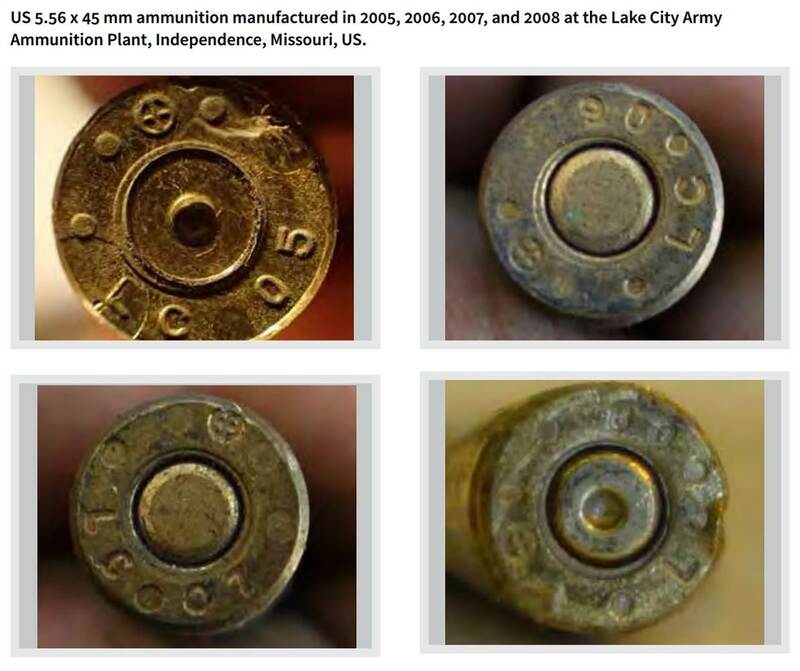 The weapons shipped during late-August 2012 were Sniper rifles, RPG’s, and 125 mm and 155mm howitzers missiles. During the immediate aftermath of, and following the uncertainty caused by, the downfall of the ((Qaddafi)) regime in October 2011 and up until early September of 2012, weapons from the former Libya military stockpiles located in Benghazi, Libya were shipped from the port of Benghazi, Libya to the ports of Banias and the Port of Borj Islam, Syria. 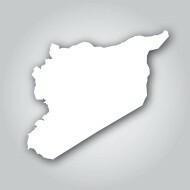 The Syrian ports were chosen due to the small amount of cargo traffic transiting these two ports. The ships used to transport the weapons were medium-sized and able to hold 10 or less shipping containers of cargo.” Judicial Watch, 18 May 2015. https://www.judicialwatch.org/document-archive/pgs-1-3-2-3-from-jw-v-dod-and-state-14-812/. Craig Whitlock, “U.S. secretly backed Syrian opposition groups, cables released by WikiLeaks show.” Washington Post, 17 April 2011. https://www.washingtonpost.com/world/us-secretly-backed-syrian-opposition-groups-cables-released-by-wikileaks-show/2011/04/14/AF1p9hwD_story.html; “US trains activists to evade security forces.” AFP, 8 April 2011. http://www.activistpost.com/2011/04/us-trains-activists-to-evade-security.html; Ron Nixon, “U.S. Groups Helped Nurture Arab Uprisings.” The New York Times, 14 April 2011. http://www.nytimes.com/2011/04/15/world/15aid.html?pagewanted=1&_r=2&emc=eta1. The Global Intelligence Files, “INSIGHT – military intervention in Syria, post withdrawal status of forces.” WikiLeaks, 6 March 2012. https://wikileaks.org/gifiles/docs/16/1671459_insight-military-intervention-in-syria-post-withdrawal.html. Sibel Edmonds breaks the story on the existence of a secret US-NATO base in Turkey, and further explains its operations to organize and expand the dissident base, smuggle in weapons, conduct psychological operations and information warfare, and to funnel intelligence and military operators across the border. Sibel Edmonds, “BFP Exclusive: Syria- Secret US-NATO Training & Support Camp to Oust Current Syrian President.” BoilingFrogsPost, 21 November 2011. http://www.boilingfrogspost.com/2011/11/21/bfp-exclusive-syria-secret-us-nato-training-support-camp-to-oust-current-syrian-president/; James Corbett interviews former Syrian journalist Nizar Nayouf, previously imprisoned for 10 years for speaking out against the Syrian government, who accounts how hundreds of foreign soldiers were seen moving back and forth near the Jordanian-Syrian border. James Corbett, “BREAKING: US Troops Deploying on Jordan-Syria Border.” CorbettReport, 11 December 2011. https://www.youtube.com/watch?v=-v1h1bUfCVc. Greg Miller et al., “Secret CIA effort in Syria faces large funding cut.” Washington Post, 12 June 2015. https://www.washingtonpost.com/world/national-security/lawmakers-move-to-curb-1-billion-cia-program-to-train-syrian-rebels/2015/06/12/b0f45a9e-1114-11e5-adec-e82f8395c032_story.html; David E. Sanger, “Rebel Arms Flow Is Said to Benefit Jihadists in Syria.” The New York Times, 14 October 2012. http://www.nytimes.com/2012/10/15/world/middleeast/jihadists-receiving-most-arms-sent-to-syrian-rebels.html?pagewanted=all&_r=1&. Aaron Klein, “Blowback! U.S. 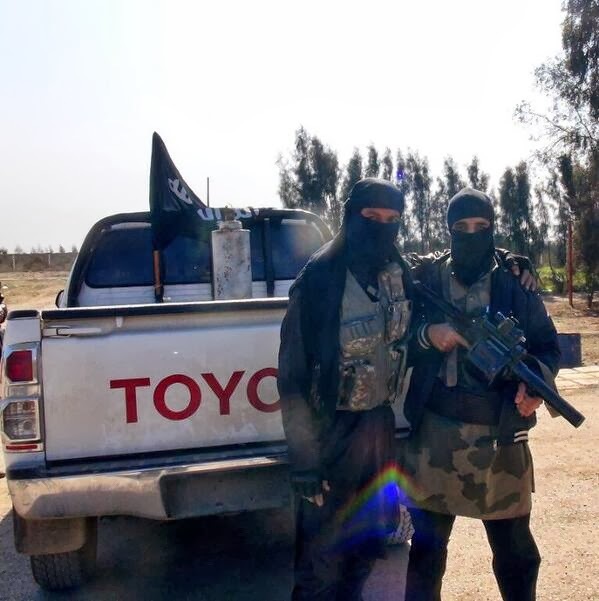 Trained Islamists Who Joined ISIS.” WND, 17 August 2014. http://www.wnd.com/2014/06/officials-u-s-trained-isis-at-secret-base-in-jordan/. 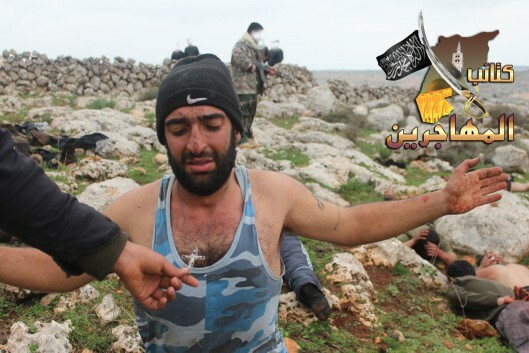 “They trained us to ambush regime or enemy vehicles and cut off the road. 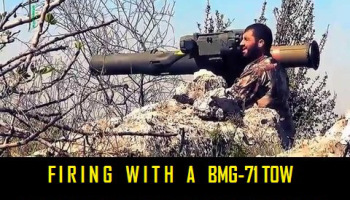 They also trained us on how to attack a vehicle, raid it, retrieve information or weapons and munitions, and how to finish off soldiers still alive after an ambush.” “Syria: Arming the Rebels.” Frontline, 27 May 2014. http://www.pbs.org/wgbh/pages/frontline/syria-arming-the-rebels/; The Conventions offer protections to wounded combatants, and prisoners of war must be humanely treated at all times. “Reference Guide to the Geneva Conventions.” Society of Professional Journalists. http://www.spj.org/gc-index.asp#woundedcombatants. Philip Giraldi, “NAO vs. Syria.” The American Conservative, 19 December 2011. http://www.theamericanconservative.com/articles/nato-vs-syria/. 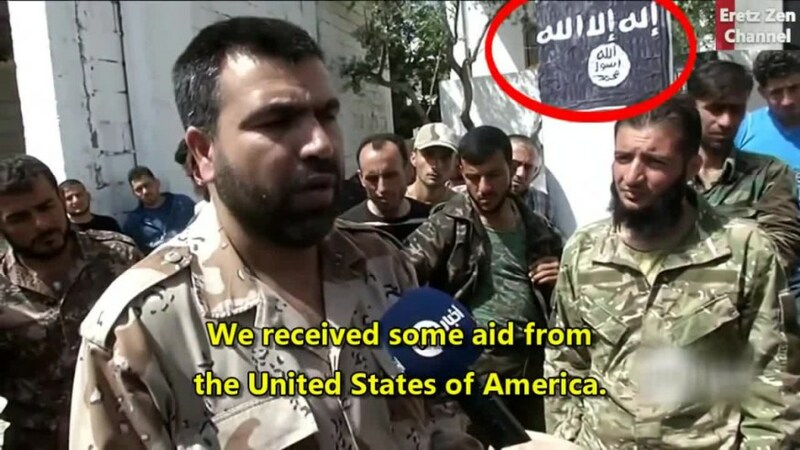 Josh Rogin, “America’s Allies Are Funding ISIS.” The Daily Beast, 14 June 2014. http://www.thedailybeast.com/articles/2014/06/14/america-s-allies-are-funding-isis.html; “Biden: Turks, Saudis, UAE funded and armed Al Nusra and Al Qaeda.” Mideast Shuffle, 4 October 2014. http://mideastshuffle.com/2014/10/04/biden-turks-saudis-uae-funded-and-armed-al-nusra-and-al-qaeda/; “General Dempsey acknowledges U.S. Arab allies funding ISIS.” C-SPAN, 20 September 2014. http://www.c-span.org/video/?c4509231/general-dempsey-acknowledges-us-arab-allies-funding-isis; All of this was coordinated out of US-led operation rooms in Turkey and Jordan, Eric Schmitt, “C.I.A. Said to Aid in Steering Arms to Syrian Opposition.” The New York Times, 21 June 2012. http://www.nytimes.com/2012/06/21/world/middleeast/cia-said-to-aid-in-steering-arms-to-syrian-rebels.html?_r=0; Mark Hosenball, “Exclusive: Obama authorizes secret U.S. support for Syrian rebels.” Reuters, 1 August 2012. http://www.reuters.com/article/2012/08/01/us-usa-syria-obama-order-idUSBRE8701OK20120801; Adam Entous, et al., “A Veteran Saudi Power Player Works To Build Support to Topple Assad.” The Wall Street Journal, 25 August 2013. http://www.wsj.com/articles/SB10001424127887323423804579024452583045962; FSA commander: “We are collaborating with the Islamic State and the Nusra Front”, Elise Knutsen, “Frustration drives Arsal’s FSA into ISIS ranks.” The Daily Star, September 8, 2014. http://cached.newslookup.com/cached.php?ref_id=394&siteid=2319&id=8144452&t=1410149280; US-backed SRF commander: “If the people who support us tell us to send weapons to another group, we send them. 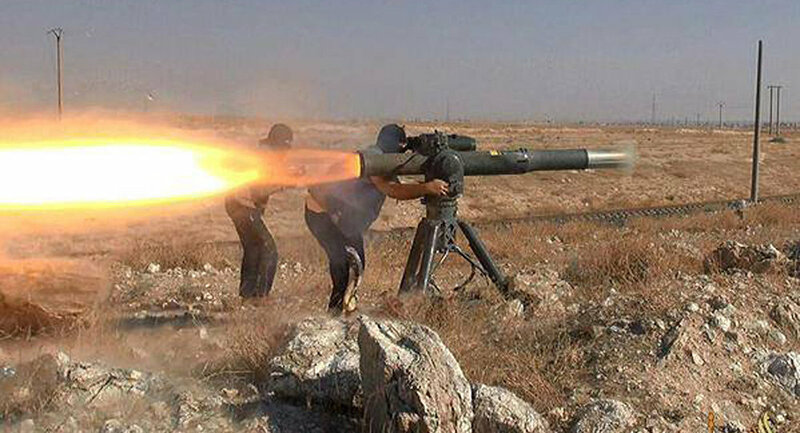 They [Jabhat al-Nusra] asked us a month ago to send weapons to Yabroud so we sent a lot of weapons there. When they asked us to do this, we do it.” Isabel Hunter, “’I am not fighting against al-Qa’ida… it’s not our problem’, says West’s last hope in Syria.” The Independent, April 2nd, 2015. http://www.independent.co.uk/news/world/middle-east/i-am-not-fighting-againstalqaida-itsnot-our-problem-says-wests-last-hope-in-syria-9233424.html; US-backed commander Okaidi: “My relationship with the brothers in ISIL is good… I communicate almost daily with brothers in ISIL… the relationship is good, even brotherly… They [al-Nusra] did not exhibit any abnormal behavior, which is different from that of the FSA.” Joshua Landis, “US Key Man in Syria Worked Closely with ISIL and Jabhat al-Nusra.” https://twitter.com/joshua_landis/status/504610185952784384; Then US Ambassador to Syria Robert Ford admits US-backed rebels collaborated with ISIS and al-Qaeda, Brad Hoff. Levant Report, May 25th, 2015. https://levantreport.com/tag/robert-ford/. Nafeez Ahmed, “Pentagon report predicted West’s support for Islamist rebels would create ISIS: Anti-ISIS coalition knowingly sponsored violent extremists to ‘isolate’ Assad, rollback ‘Shia expansion.’” Insurge Intelligence, 22 May 2015. https://medium.com/insurge-intelligence/secret-pentagon-report-reveals-west-saw-isis-as-strategic-asset-b99ad7a29092; Nafeez Ahmed, “Ex-intel officials: Pentagon report proves US complicity in ISIS.” Insurge Intelligence, 2 June 2015. https://medium.com/insurge-intelligence/ex-intel-officials-pentagon-report-proves-us-complicity-in-isis-fabef96e20da. “…the Syrian military opposition is dominated by ISIS and by Jabhat al-Nusra, the official al-Qaeda representative, in addition to other extreme jihadi groups. In reality, there is no dividing wall between them and America’s supposedly moderate opposition allies.” Patrick Cockburn, The Rise of Islamic State: ISIS and the New Sunni Revolution (New York and London: Verso, 2015), pp. 3. Desmond Butler, “Turkey Officials Confirm Pact With Saudi Arabia to Help Rebels Fighting Syria’s Assad.” Huffington Post, 7 May http://www.huffingtonpost.com/2015/05/07/turkey-saudi-arabia-syria-rebels-pact_n_7232750.html; Kim Sengupta, “Turkey and Saudi Arabia alarm the West by backing Islamist extremists the Americans had bombed in Syria.” The Independent, 12 May 2015. http://www.independent.co.uk/news/world/middle-east/syria-crisis-turkey-and-saudi-arabia-shock-western-countries-by-supporting-antiassad-jihadists-10242747.html; “Sources within and close to Nusra said that Qatar, which enjoys good relations with the group…” Mariam Karouny, “Syria’s Nusra Front may leave Qaeda to form new entity.” Reuters, 4 March 2015. http://www.reuters.com/article/2015/03/04/us-mideast-crisis-nusra-insight-idUSKBN0M00GE20150304; Former Turkish Intelligence Agency (MIT) officer blows the whistle on MIT organizing and coordinating “all incursions of jihadi murderers from Turkey to Syrian territory.” Heba, “Part 2: Stunning revelations from former Turkish Intelligence Agency officer.” The Arab Source, 1 March 2015. http://www.almasdarnews.com/article/part-2-stunning-revelations-former-turkish-intelligence-agency-officer/; Humeyra Pamuk et al., “Exclusive – Turkish intelligence helped ship arms to Syrian Islamist rebel areas.” Reuters, 21 May 2015. http://uk.reuters.com/article/2015/05/21/uk-mideast-crisis-turkey-arms-exclusive-idUKKBN0O61L020150521; Despite some signs of retrenchment in their ISIS-supporting policy, like crackdowns on Saudi fighters heading for Syria and the removal of Prince Bandar bin Sultan, Saudi Arabia shows no convincing evidence apart from verbal denials that it isn’t continuing to facilitate ISIS funding. The official narrative is that it is private Saudi donors that fund ISIS while the state is unable to stop them. This strains belief as the state is ruled by an iron fist. If any change has occurred it is likely to be that the Saudi state has taken steps to distance its involvement while it continues to use wealthy donors, who presumably provided the funds that were then transferred by the state all along, as its proxies; The CIA rebel train-and-equip program, separate from the Pentagons program, has aupported “nearly 10,000 fighters” over the past several years, Greg Miller et al., “Secret CIA effort in Syria faces large funding cut.” Washington Post, 12 June 2015. https://www.washingtonpost.com/world/national-security/lawmakers-move-to-curb-1-billion-cia-program-to-train-syrian-rebels/2015/06/12/b0f45a9e-1114-11e5-adec-e82f8395c032_story.html; According to US intelligence, this CIA program has from the beginning largely gone to aid “hard-line Islamists”, David E. Sanger, “Rebel Arms Flow Is Said to Benefit Jihadists in Syria.” The New York Times, 14 October 2012. http://www.nytimes.com/2012/10/15/world/middleeast/jihadists-receiving-most-arms-sent-to-syrian-rebels.html?pagewanted=all&_r=1&; Rebel commanders confirm that US-led operation rooms “specifically encouraged a closer cooperation with Islamists commanding frontline operations.” The US-led operations rooms were “instrumental in facilitating their [Islamists] involvement in the [Idlib] operation from early April onwards.” Charles Lister, “Why Assad Is Losing.” 5 May 2015. http://foreignpolicy.com/2015/05/05/why-assad-is-losing-syria-islamists-saudi/. Nafeez Ahmed, “Why the war on ISIS will fail.” Middle East Eye, 16 December 2014. http://www.middleeasteye.net/columns/why-war-isis-will-fail-1513487412; Kadri Gursel, “Turkish daily exposes transfer of weapons to IS.” Al-Monitor, 1 September 2015. http://www.al-monitor.com/pulse/originals/2015/09/turkey-syria-daily-exposes-transfer-weapons-supplies-to-isis.html#; Jim Michaels, “Islamic State recruiting offsets 15,000 killed by airstrikes in past year.” USA Today, 29 July 2015. http://www.usatoday.com/story/news/world/2015/07/29/air-campaign-kills-15000-isis-militants-pentagon-iraq-syria/30750327/; “The ‘Islamic State’ is stronger than it was when it was first proclaimed on 29 June last year…” Patrick Cockburn, “Isis, a year of the caliphate: Have US tactics only helped to make Islamists more powerful?” The Independent, 26 June 2015. http://www.independent.co.uk/news/world/middle-east/isis-a-year-of-the-caliphate-have-us-tactics-played-into-islamist-hands-10345905.html; Alice Ross, “Hundreds of civilians killed in US-led air strikes on Isis targets – report.” The Guardian, 3 August 2015. http://www.theguardian.com/world/2015/aug/03/us-led-air-strikes-on-isis-targets-killed-more-than-450-civilians-report. “Thus the monist model is one of integrated nationalism, in which the state is a nationalising one, drawing on the tradition of Ukrainism to fill the existing borders with a content sharply distinguished from Russia. It would be officially monolingual, unitary and culturally specific.” “The core of the problem is an ideological one. At the heart of the monist model… the aim is not to reflect existing realities, above all the different histories of the territories making up contemporary Ukraine, but to restore some idealised vision of that statehood.” “This brings us to the second paradigm of Ukrainian state development, which I call the pluralist to denote its appeal to broad principles of national inclusiveness. At root, this model proposes that the post-Communist Ukrainian state is home to many disparate peoples, reflecting its long history of fragmented statehood and the way that its contemporary borders include territories with very different histories, but that they all share an orientation to a civic Ukrainian identity.” “The pluralist model argues that all the peoples making up contemporary Ukraine have an equal stake in the development of the country, and thus opposes the nationalising strain…” “The monist view is obviously stronger in the western part of the country, while the pluralist approach is stronger in the east and the south.” Richard Sakwa, Frontline Ukraine: Crisis in the Borderlands (London: I.B. Tauris, 2015), pp. 15, 21, 23, 24. The EU gives Yanukovych an ultimatum to either sign with them or sign with Russia, but rejects a joint deal amidst calls from Yanukovych and Russia for tripartite discussions to resolve the differences. “Ukraine ‘still wants to sign EU deal.’” Al Jazeera, 29 November 2013. http://www.aljazeera.com/news/europe/2013/11/ukraine-still-wants-sign-eu-deal-20131129111345619208.html; “The idea that Russia opposed Ukraine’s association with the EU needs to be modified by an understanding that the struggle prior to the planned signing of the Association Agreement sought to align Ukraine with the EEU [the Russian-led Eurasian Economic Union], but not necessarily to force Ukraine to join it. In part, the campaign was an attempt to get the EU to engage in a genuine dialogue about the conditions on which Ukraine would sign up to association with the EU, including security issues. This campaign was conducted in a typically heavy-handed and alienating manner, with bans, boycotts and the like accompanied by some ferocious rhetoric from Sergei Glazyev and others, but some genuine issues were raised. Above all, Russia repeatedly warned that it would take measures to stop poor-quality Ukrainian and relabeled EU goods flooding into the Russian market once better-quality EU goods had free access to Ukraine. The compatibility of two free-trade areas is a matter that should, and could, have been sorted out calmly by technocrats on both sides but instead became politicized.” Richard Sakwa, Frontline Ukraine: Crisis in the Borderlands (London: I.B. Tauris, 2015), pp. 206; For more on this, see my “The Mistaken Analysis on Ukraine.” Reports from Underground, 6 September 2014. http://undergroundreports.blogspot.fr/2014/09/follies-of-western-hubris-mistaken.html. Assistant Secretary of State for Europe and Eurasian Affairs Victoria Nuland confirms that the US has invested $5 billion in Ukraine since 1991 to “support the Ukrainians.” “Regime Change in Kiev.” Information Clearing House, 9 February 2014. http://www.informationclearinghouse.info/article37599.htm; However, in terms of these ‘democracy promotion’ programs, International Relations scholar John J. Mearsheimer notes that “and when you talk about promoting democracy, what you’re really talking about is putting in power leaders who are pro-Western and anti-Russian… promoting democracy, which was all about putting in power pro-Western leaders.” Mearsheimer quoted in Labor Beat YouTube recording, 26 January 2015. https://www.youtube.com/watch?v=fhILmIvBe6o&feature=youtu.be; “it is clear that Washington backed the coup. Nuland and Republican Senator John McCain participated in antigovernment demonstrations, and Geoffrey Pyatt, the U.S. ambassador to Ukraine, proclaimed after Yanukovych’s toppling that it was “a day for the history books.” As a leaked telephone recording revealed, Nuland had advocated regime change and wanted the Ukrainian politician Arseniy Yatsenyuk to become prime minister in the new government, which he did.” John J. Mearsheimer, “Why the Ukraine Crisis Is the West’s Fault.” Foreign Affairs, September/October 2014. https://www.foreignaffairs.com/articles/russia-fsu/2014-08-18/why-ukraine-crisis-west-s-fault; The militancy of the EuroMaidan was led by ultranationalist groups Svoboda and Right Sector. The violence was protected by Obama in his repeated public references to the protests as being wholly “nonviolent”, giving them the green light to continue the violence without fears of reprisals from the West; In 2012 the EU condemned the Svoboda party, whose members gained top ministerial positions and seats on the parliament following the February coup. “European Parliament resolution of 13 December 2012 on the situation in Ukraine,” Section 8. http://www.europarl.europa.eu/sides/getDoc.do?pubRef=-//EP//TEXT+TA+P7-TA-2012-0507+0+DOC+XML+V0//EN. Richard Sakwa, Frontline Ukraine: Crisis in the Borderlands (London: I.B. Tauris, 2015), pp. 93, 94, 95. Richard Sakwa, Chapter 6 “When History Comes Calling”, “Purging the State”, Frontline Ukraine: Crisis in the Borderlands (London: I.B. Tauris, 2015), pp. 135-140; “Only two ministers from the entire south and east, covering half the country, joined the 21-person cabinet [of the government following the February coup]… No posts were given to PoR [Party of Regions, the party the south and east most predominantly supported]…” Richard Sakwa, Frontline Ukraine: Crisis in the Borderlands (London: I.B. Tauris, 2015), pp. 95; “…but in fact the objective has been to put down and humiliate Ukraine’s Russian-speaking population. The radical nationalists of western Ukraine, for whom the rejection of Russia and its culture is an article of faith, intend to force the rest of the country to fit their narrow vision.” Vladimir Golstein, “Why everything you’ve read about Ukraine is wrong.” Forbes, 19 May 2014. http://www.forbes.com/sites/forbesleadershipforum/2014/05/19/why-everything-youve-read-about-ukraine-is-wrong/. “The storming of government offices in the west of the country in the final months of Yanukovych’s rule was considered something entirely different – part of the revolutionary surge in support of monist nationalism – whereas now the ‘anti-Maidan’ insurgency using the same tactics in support of pluralism was called a terrorist movement.” “The fundamental inability of Kiev and its Western allies to understand that this was not simply an ‘invasion’ but a genuine revolt against a particular type of statehood that had long been unpopular in the south-east, and that the Ukrainian revolution only intensified, meant that they could not recognize the political subjectivity of the rebellion as a force with which there should be dialogue. Instead, labelling the insurgents ‘terrorists’ meant not only that their political identity was negated but also that their very humanity was dismissed, allowing untold cruelties to be inflicted upon the region.” Richard Sakwa, Frontline Ukraine: Crisis in the Borderlands (London: I.B. Tauris, 2015), pp. 151, 181. Just hours after CIA Director John Brennan ‘secretly’ travelled to Ukraine and held consultation with the new Kiev authorities, Kiev announced the first launch of its military crackdown of the protests in the east. Daria Chernyshova, RIA Novosti, 18 April 2014. http://www.globalresearch.ca/hidden-agenda-of-cia-director-brennans-trip-to-kiev-initiate-the-use-of-force-in-eastern-ukraine/5378263. “Dozens of Ukrainian troops surrender APCs in Slavyansk, refuse to ‘shoot at own people.’” RT, 16 April 2014. http://www.rt.com/news/ukraine-troops-withdraw-slavyansk-940/. Again only hours after a high-level US official travels to consult with the Kiev authorities, this time by Vice President Joe Biden, Kiev re-launches its ‘Anti-Terror Operation’ against rebels in the east. “Ukraine relaunches anti-rebel operation after Biden departure.” Agence France-Presse, 23 April 2014. http://www.scmp.com/news/world/article/1494970/ukraine-relaunches-anti-rebel-operation-after-biden-departure. Vladimir Ruban, retired Colonel-General of the officer corps of Ukraine, admits in an interview on Hromadske TV that the Ukrainian military has been shelling civilians: “I want to offer the Ukrainian artillerists medals, to those who shell the city [Donetsk], the houses and the civilian population… For they have deserved it. Both because of the accuracy and inaccuracy… The shelling there is done as intimidation. It has a different purpose: not just object destruction, but intimidation. The civilian population is intimidated by a chaotic bombardment of different objects. There are many shells that plug directly into the streets or vegetable gardens.” YouTube. https://www.youtube.com/watch?v=l17KfjtaqpA; Also, journalists from the Russian RenTV news agency have allegedly recovered documents left after battle by Ukrainian soldiers which show residential areas and civilian buildings being specifically targeted. YouTube. https://www.youtube.com/watch?x-yt-cl=85114404&x-yt-ts=1422579428&v=MCcl60gND7g#t=25; “Ukrainian soldiers confess to murder of mother and daughter: prosecutor.” Reuters, 17 June 2015. https://news.yahoo.com/ukrainian-soldiers-confess-murder-mother-daughter-prosecutor-152927752.html; “Ukraine: Unguided Rockets Killing Civilians.” Human Rights Watch, 24 July 2014. https://www.hrw.org/news/2014/07/24/ukraine-unguided-rockets-killing-civilians.